No one has set foot on Earth in centuries - until now. Ever since a devastating nuclear war, humanity has lived on spaceships far above Earth's radioactive surface. Now, one hundred juvenile delinquents - considered expendable by society - are being sent on a dangerous mission: to re-colonise the planet. It could be their second chance at life... or it could be a suicide mission. Clarke was arrested for treason, though she's haunted by the memory of what she really did. Wells, the chancellor's son, came to Earth for the girl he loves - but will she ever forgive him? Reckless Bellamy fought his way onto the transport pod to protect his sister, the other half of the only siblings in the universe. And Glass managed to escape back onto the ship, only to find that life there is just as dangerous as she feared it would be on Earth. Confronted with a savage land and haunted by secrets from their pasts, the hundred must fight to survive. They were never meant to be heroes, but they may be mankind's last hope. 1. It's set in space and on Earth. It's the best of both worlds, literally. 2. This trilogy is a space-age Titanic with hints of Divergent and Monument 14. I mean, really, what more could you want? 4. I flew through the entire trilogy in a weekend. NO REGRETS. 5. Usually with books that have alternating POVs, there's one character's POV that you really don't care about and you always want to skip it, but - in my opinion - that's not the case with The 100. I was interested in each of them, and the pacing was spot-on. 6. The TV series looks pretty cool, but if you're a stickler for reading before watching, then, well... you'll just have to read them, won't you. 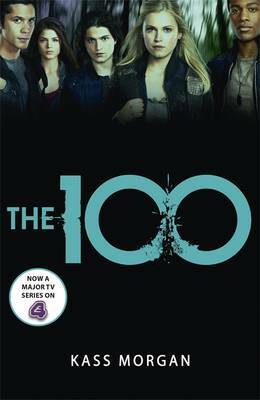 Have you read/watched The 100?